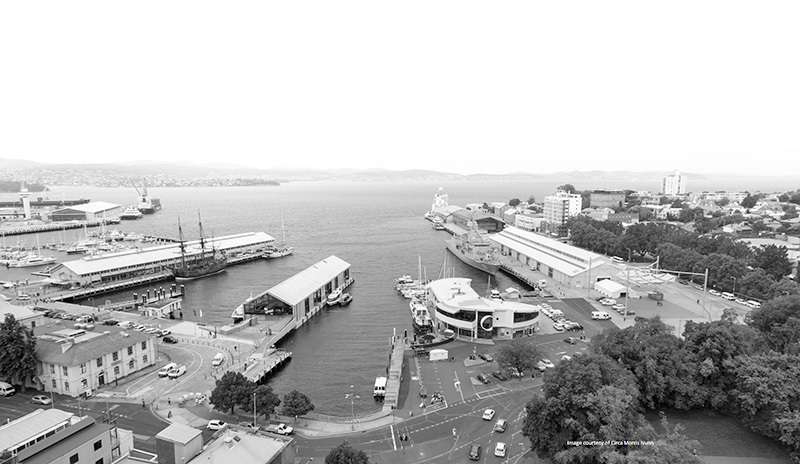 Situated on Hobart’s waterfront, Brooke Street Pier is the home of ferry services for several of Hobart’s iconic destinations such as Mona, Port Arthur Historic Site and Peppermint Bay. The first floor houses cafés and local craft and produce retailers, while the second floor is leased as commercial office space. The floating concrete basement houses services, plant and equipment, storage and kitchen areas. 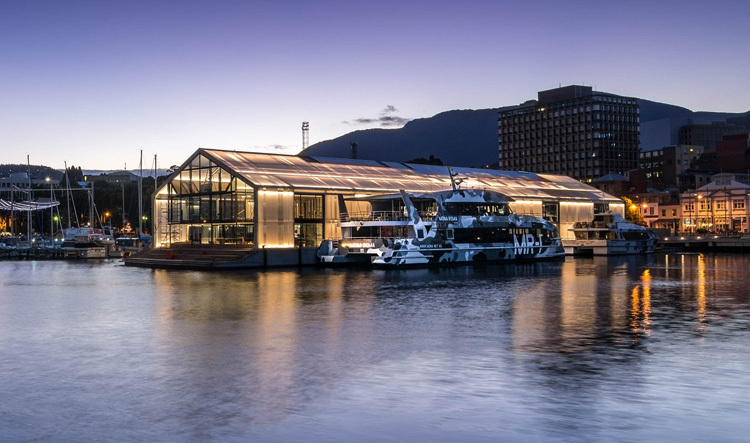 Built to replace the existing aged wharf infrastructure, the 4,200 tonne floating four storey building (including basement) is an innovative collection of architectural, engineering and sustainability concepts, drawing multiple facets of existing and emerging technology together. Construction was completed off-site in a 3 degree sloping dry dock and the structure launched into the water on rubber airbag rollers. Specialist concrete and corrosion mitigation measures were taken to achieve durability in a marine environment (minimum 50 year design life). On site mooring was achieved with flexible “sea flex’ restraint lines, and buoyancy/flotation provided by a waterproof concrete pontoon. Flexible service connections were required to link to shore infrastructure. 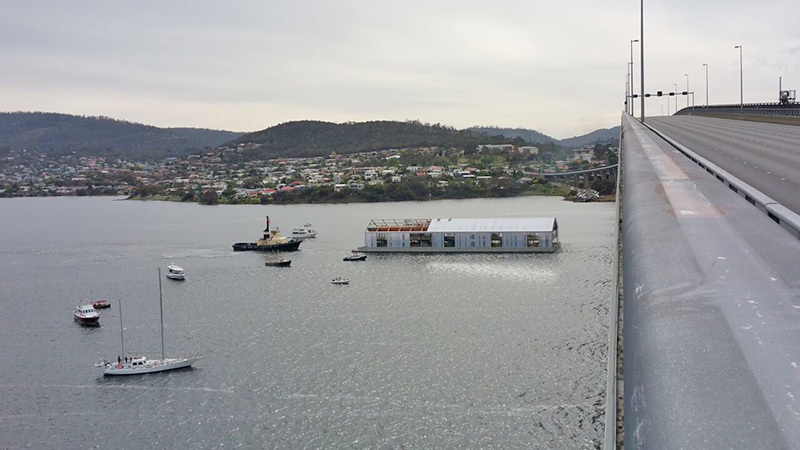 An innovative floating ferry terminal and mixed use development future proofed against the effects of climate change and the marine environment.